8.05% Mahindra Financial Services NCD - July'17 – Should you Invest? 8.05% Mahindra Financial Services NCD – July’17 – Should you Invest? Mahindra Finance NCD – July 17 – Should you Invest? Mahindra & Mahindra Financial Services Ltd, a leading rural non-banking financial company has come out with public issue of non-convertible debentures (NCD) offering up to 8.05% interest rate. The issue would open on July 10 and would close on July 28, 2017. There are 3 options of investment in Mahindra Finance NCD. The Company would allot Series I to all valid applications, wherein the Applicants have not indicated their choice of the relevant series of NCDs. M&M Finance NCD – Who can Apply? Also Read: 8% Government of India Savings Bonds – Should you Invest? The 15 year bond (Series III) has CALL option which means company can buy the bond after 10 years. It would in case the prevailing interest at that time is significantly lesser than 8.05%. If you plan to invest in this issue, do it early as most NCD issues are over-subscribed before the end date. 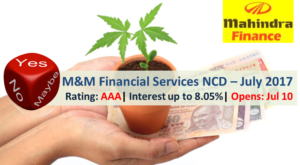 9.50% Mahindra Financial Services NCD – Jan’19 – Should you Invest? 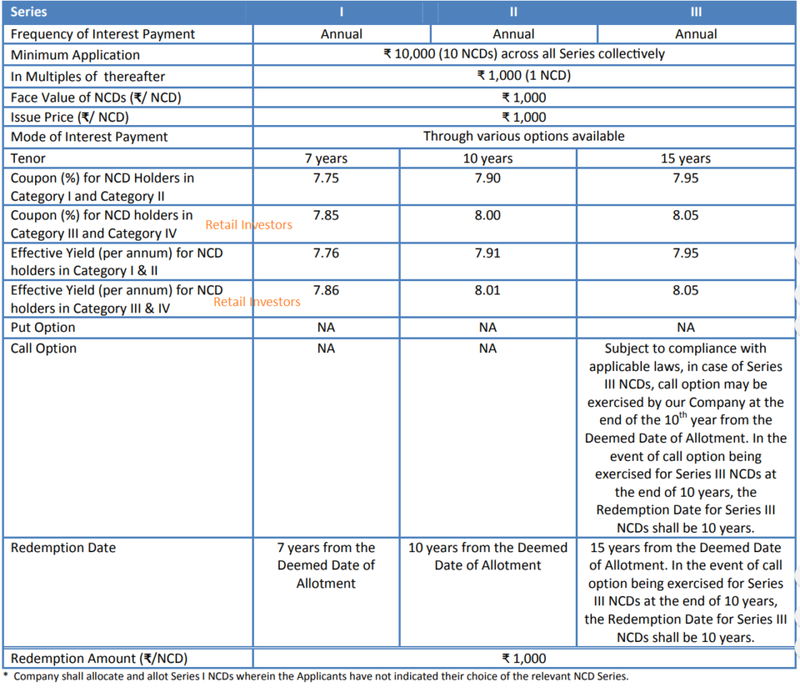 10% Edelweiss Housing Finance Ltd NCD – July’16 – Should you Invest? 9% Mahindra Financial Services NCD – May’16 – Should you Invest?